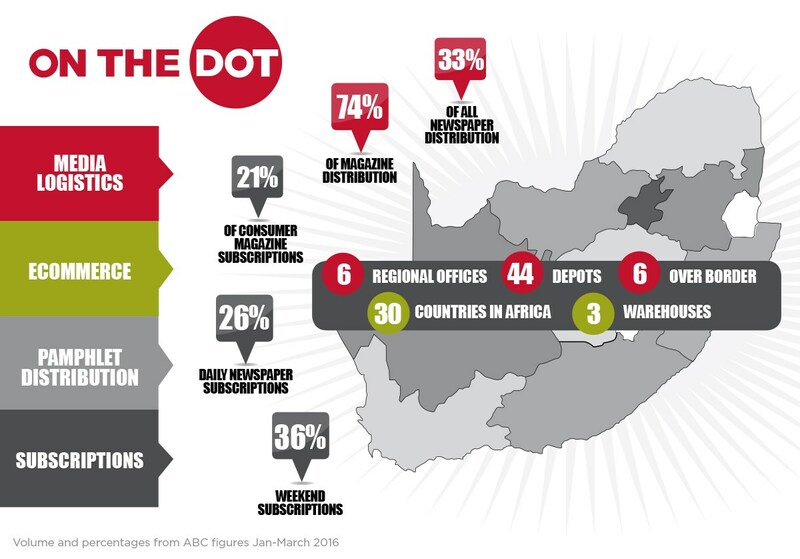 On the Dot, South Africa's largest media supply chain management company, offers distribution solutions for magazines, newspapers, subscriptions, community newspapers, pamphlets and non-media parcels through direct to store, home delivery and informal networks. 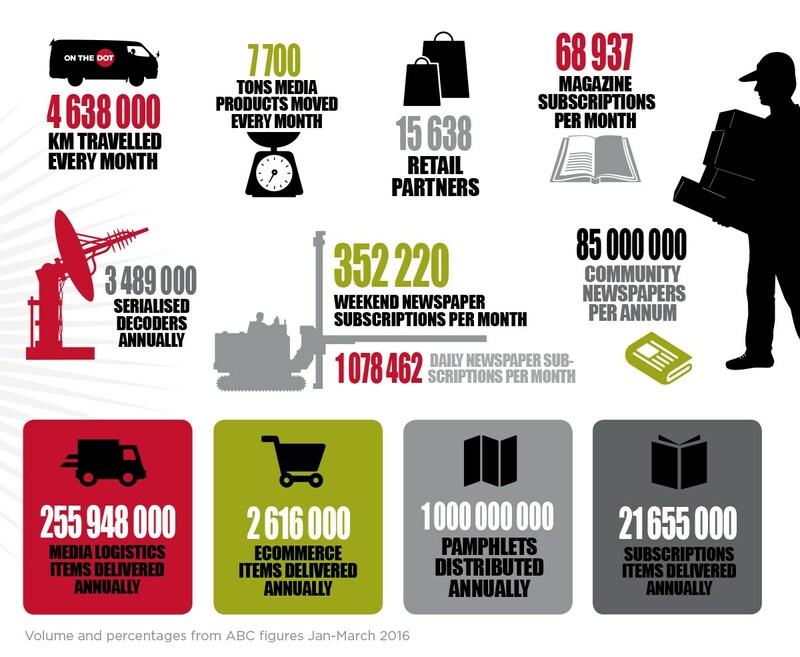 It is a comprehensive solution that includes warehousing, delivery and distribution, as well as a fully integrated customer management service. On the Dot's services are comprehensive, ensuring every facet of your product's lifecycle is carefully managed, monitored and optimised..